We all familiar with energy ratings: those energy efficiency stars on air-conditioners, fridges, dishwashers and washing machines tell us the extent to which the appliance uses more or less energy to do its job. The more stars, the more efficient the process. But did you know there is also a home energy ratings system for houses? 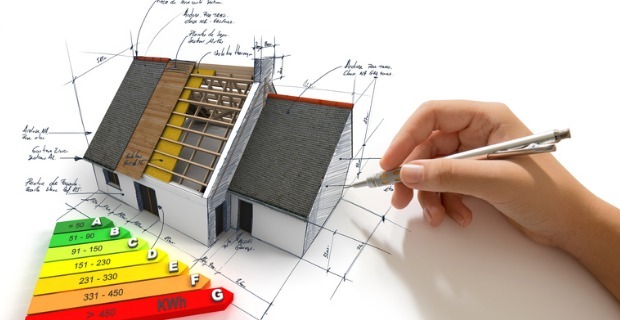 The Nationwide House Energy Rating Scheme (NatHERS) rates the energy efficiency of houses. In fact, you can get a NatHERS accredited assessor to visit your home, make some calculations and provide you with a certificate that shows your house’s energy rating. 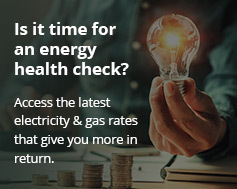 In this article we’ll look at the energy rating, how it’s calculated and what you can do to save on energy bills and also increase the value of your home. The NatHERS rating system took on additional significance in 2011, when the Federal Government made it mandatory for all new houses to have a 6 star rating. Energy efficient homes – design from the ground up. NatHERS star home energy ratings are assessed on energy use, including how the house will heat up and cool down based on its construction. Star ratings are based on information about the home’s layout, construction materials and how suitable it is for the climate. So a home in Adelaide without insulation in the roof or walls is going to experience extreme heat in summer, while a home in Hobart with double glazing will trap heat better in the colder months. The NatHERS star rating is like a measure that helps householders save on their energy bills through smarter design choices. Often good design can reduce the amount of energy needed to keep a home comfortable with little or no additional construction cost. How are home energy ratings calculated? its solar PV and other energy efficient systems. Let’s take a look at these points, and how they affect energy ratings. The typical ‘Queenslander’ home suits the humid, hot sub-tropical climate of the state. It has a veranda running around it, louvers to open up as much window area as possible, and a hallway running the length of the house to allow a breeze to drive out oppressive air. This is an example of how layout can affect the temperature of a home. But there are other energy savings when you use Design for Place techniques. By taking advantage of natural lighting, cross-flow ventilation and heating and cooling opportunities that can be built into your home at the outset, you can save on ongoing energy costs. North facing windows introduce sunlight and daylight into the home, particularly in winter when the sun is lower in the sky and direct sunlight contributes to heating the house. South facing windows (for latitudes below the tropic of Capricorn) introduce daylight without heat gains of direct sunlight. In warmer climates, elevated flooring and light construction can help keep the home cool. Metal roofs effectively reflect sunlight and keep internal temperatures down. A roof heat vent or ‘whirlybird’ lets out hot air trapped in the ceiling cavity. Ceiling and wall insulation can help maintain a quieter and more comfortable home all year round. Curtains or blinds with pelmets that sit snugly in the window frame can improve the insulation of your windows. The breezy, open-air style of a Queenslander would be disastrous in colder climates where exposed wooden floors, masses of louvers and roof vents would help heat escape. A home’s design must also suit the climate to earn a rating. So a 7 star home in Cairns might be a 3 star home in Launceston. According to the Commonwealth Department of the Environment and Energy website, Australian households are directly responsible for about one-fifth of Australia’s greenhouse gas emissions. The average household generates over 7 tonnes of greenhouse gas emissions annually. Solar power installation increases home energy efficiency. Reducing energy use through good design is one approach to lowering greenhouse gases. The other way is to use energy from renewable sources like solar energy. At the moment, most of Australia’s electricity comes from coal-fired power stations that release carbon dioxide and other pollutants into the atmosphere. Rooftop solar panels produce no carbon emissions, they are environmentally sound. About 16.5 per cent of Australian homes have solar panels, which increases the home energy ratings. While the household may use as much electricity as their neighbours without solar, a significant amount of the energy is generated by the home itself. If the definition of an energy saving home is one constructed to use less energy from outside sources, then solar panels are an element of a winning design. The holy grail of a 10 star house is impossible to attain for most people. That’s because it would technically need zero additional heating or cooling. There are high-end pioneer designs for 10 star houses, but for most of us these are not feasible. But 9 star houses are achievable. They use approximately 80 per cent less energy to heat and cool than a 6 Star house, and one tenth of the energy of the current average house. Imagine what that would mean for your electricity bills! Domain reported a 9.5 star house in Brunswick, Victoria as having minimal energy bills due to its solar hot water system, triple glazing, external shading, large solar PV system and rainwater tanks for toilet flushing and garden watering. Automating can be as easy as installing a switch for your lights then controlling them through your smartphone. There are smart hubs that can take over the running of your home, turning on air-conditioners and lights as required and making sure everything is off when you’re out or in bed. An extension of this idea is PowerPlay. PowerPlay takes your energy information and presents it to you in an easy to read app. Not only that, it keeps a record of your usage over time so you can compare what’s happening today with last month or last year. Not only do higher home energy ratings save you money in the short term. In the long term it also adds to the value of your home. A government study into ACT house prices found an energy rating improvement of one star increases market value by 3 per cent on average. This can amount to tens of thousands of dollars. WPB Property Group executive chairman Greville Pabst said retrofitting a house with energy efficient products may also generate more buyer interest and potentially a higher price at the point of sale. He also said green assets were the way of the future in real estate as the cost of living increased. “If you could demonstrate it would save you money, I think people would pay for it,” Mr Pabst told realestate.com in July 2017. He said a house that saved $2,000-$3,000 in energy bills annually could add $30,000 to the price. Energy efficiency will become more of a selling point for homes as the cost of energy rises. This is due to double glazing, better insulation, solar PV and battery storage becoming the norm. As a result, taking these steps is a good investment to make now for the future. Find out more about the Nationwide House Energy Rating Scheme here.